Dr. Nathan Canada was a hospital intern at Peterson & Smith in 2011-2012. After leaving the clinic, Dr. Canada moved to the little apple, also known as Manhattan, Kansas, to further his education. He is currently enrolled at Kansas State University where he is completing his equine surgery residency. 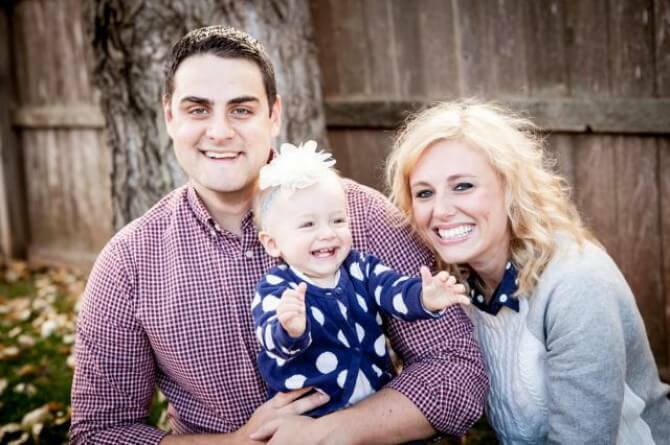 Since living in Kansas, he and his wife welcomed a beautiful baby girl, Peighton, into the world. Currently, Dr. Canada sees cases at the vet health center at Kansas State while fulfilling his residency requirements. In his residency, he must fulfill a minimum of 300 surgeries in different fields within 3 years. This is what brought him back to Peterson & Smith for a few weeks. He knows that Dr. Slone is very well known for his orthopedic work and because of this, chose to spend some time down in Florida working at the clinic. Ever since Dr. Canada was a young boy, he wanted to be a vet. At the age of 15, he had a job at a mixed animal practice which treated horses 50% of the time. He fell in love with the horse aspect of the job and since then, has pursued becoming an equine veterinarian. His original plan was to become a general practitioner and come back to this mixed animal practice in Oklahoma, which is his hometown. However, after more schooling, and after more avenues opened up, he fell in love with surgery. He always wants to know more to increase his knowledge base and also wants to be on the forefront of veterinary medicine, and being a surgeon will help him reach this goal. Once Dr. Canada finishes his residency, he hopes to become a surgeon at a private practice but will of course take whatever is presented to him. We were very pleased to have Dr. Canada back at Peterson & Smith, and to help him while he’s on the road to becoming an equine surgeon.